When I learned the El Dia E 2012 will happen at Shangrila Plaza Mandaluyong through my email subscription, i was glad since it is only a dozen cartwheels, 5 tumbles and a split away from my place. I went there hoping to see my former colleagues or my professor but I saw none of them. 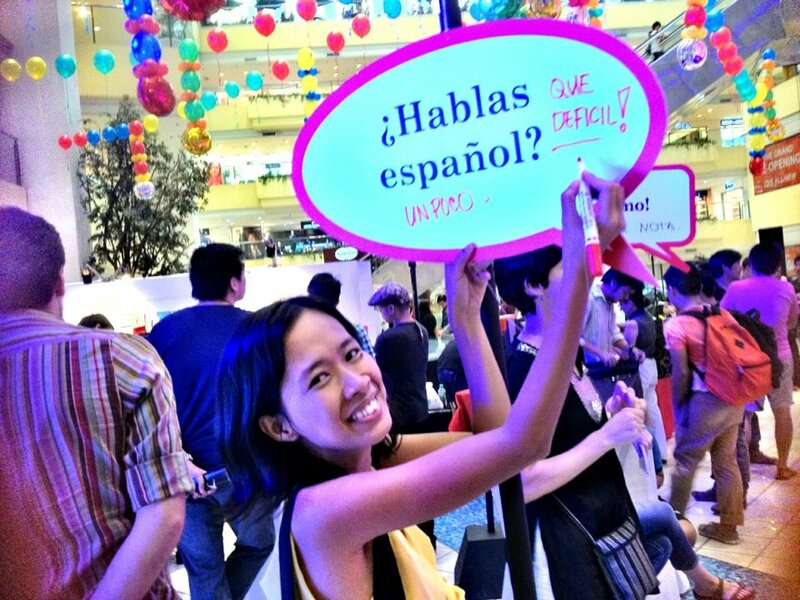 The event was full of activities to test your proficiency of the Spanish language. The first activity I joined is together with 8 participants were given 30 Tagalog words and we have to translate it to Spanish. Would you believe I got 20 out of 30 so I was one of the three who got free books. 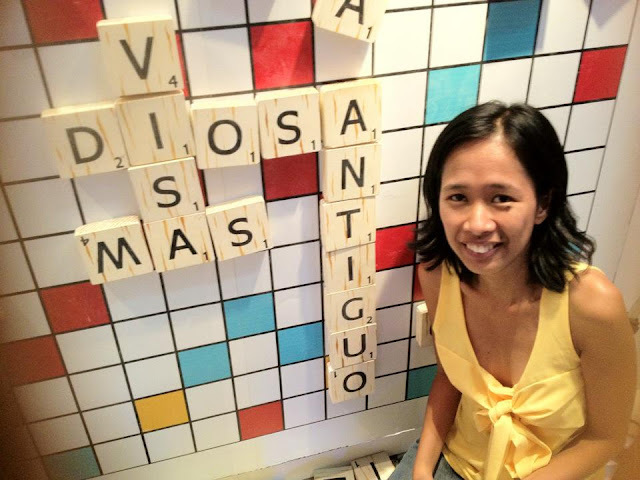 I also tried the scrabble version of which you have to think of Spanish words that have equivalent meanings in Tagalog. Then I got to chat with one of the participants Wendy and we got along well. Muchas gracias por las fotos! I’ve always wanted to learn a new language whether it is a local dialect or a foreign language. Two languages I want to learn is Chinese and French language. Chinese because they have one of the richest cultures and it always amazes me their language with characters made of line strokes. French, aside from I am a fan of French Film Festivals I think there is more than learning that French kiss and cooking French fries am I right? Well I ended up enrolling to Spanish class instead for another two reasons: since this blog is about heritage and culture I always encounter phrases and stories in Spanish that I need to understand plus my work gives extra double or triple salary if I speak the language at work. 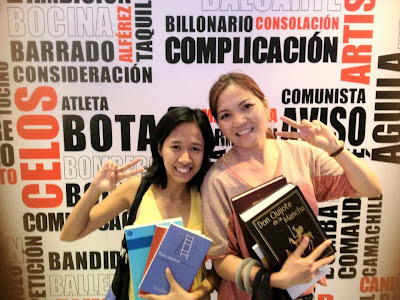 Last year I enrolled to Instituto Cervantes Manila though I know it would be a suicide of time because it is too far and schedule is clashing against my work. I will try. I took the Tuesday – Thursday class from 6PM – 8PM and I have to take 5 MRT stations and 9 LRT stations. It was a rush hour so I was at my most stressed moment of my life squeezing in between these people trying to get in and out and running till I get to my office before 10PM. It sucked me so much I got sick for a few days but I did managed to take the final exam and passed the first level. 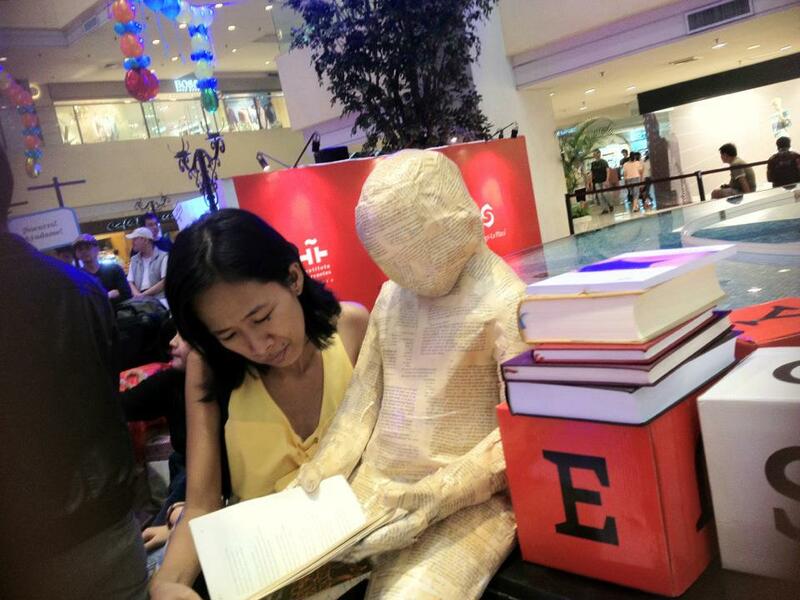 I had to stop but that did not meant I stop learning the language or being part of Instituto Cervantes Manila’s activities. Jesus Bombin a Spanish DJ treated the crowd for some electric beats and techno music. There was also poetry reading and play reenactment from Parra, a Chilean poet who won the Cervantes Prize in literature known for founding the “anti-poetry” which is an art movement which oppose the basics of poetry. We also tasted some signature sweet snacks from a few Spanish speaking countries but I wished they could have put a name label on it. The coupons we won from participating entitled us to choose Spanish books we can bring home gratis. I and Wendy scoured the books just poured out of the box like we are in a race. I envy Wendy! 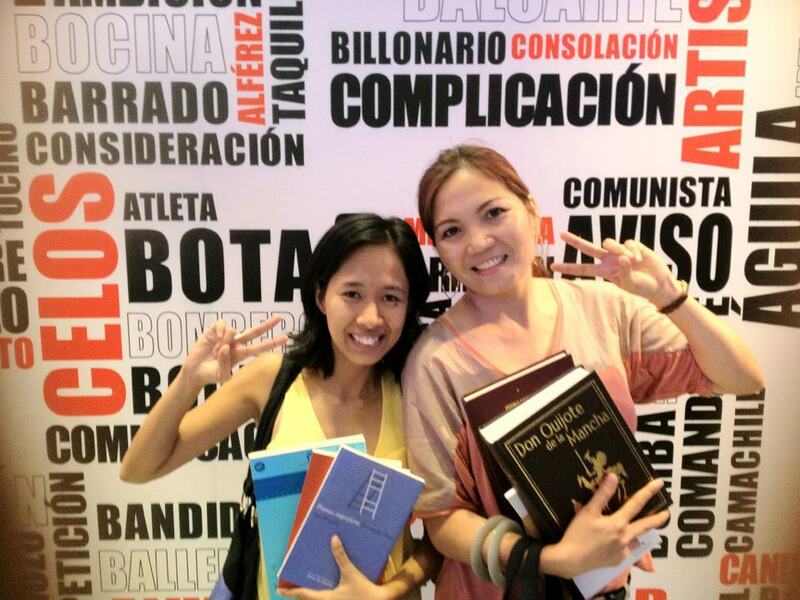 She was able to get one of the two copies of Don Quixote dela Mancha book. This novel was written by Miguel De Cervantes who happens to be the one whom Instituto Cervantes was named after. That book is a collector’s item and considered one of the most influential work of literature from the Spanish Golden Age and is usually cited as the best literary work ever written. Well I got to hug it for a few seconds when I saw her holding it and yeah at least I have it in the photos. So for the question when will I ever get back to a language school again either Spanish or other language, I still don’t know. In the future or maybe soon I am on the verge of reflecting where will I be next for the moment.